This year’s Christian Aid Week (11-17 May 2014 www.caweek.org), Britain’s longest running door-to door fundraising week, is asking the British public to support communities in war-ravaged countries to rebuild their lives and live a life free from fear. In the special video message above filmed at Lambeth Palace, Archbishop of Canterbury Justin Welby encouraged churches to get involved. Worldwide more than 45.2 million people are displaced by conflict and more than 1.5 billion are living in conflict affected countries, according to the United Nations. The World Bank cites the insecurity caused by violence as one of the primary development challenges of our time and says that civil conflict costs the average developing country roughly 30 years of GDP growth. Christian Aid works with partners in many countries around the world who are dealing with the challenges of on-going conflict, or the legacy war leaves behind. Places like the Democratic Republic of Congo, Colombia, Iraq, South Sudan and Syria which are regularly in the news, but also in countries like Angola and Sierra Leone that are still re-building many years after the fighting has stopped. The often life-saving work of Christian Aid partners includes providing emergency supplies such as food, water, medical care and shelter to those who are caught up in, or displaced by, the fighting. They also offer longer-term support to rebuild shattered lives; providing counselling to those affected by trauma, helping people who have lost everything to once again earn a living, and enabling communities to build homes that will allow families to feel safe. As well as the practical work with stricken communities, Christian Aid partners lobby for change at the local, national and international level, influencing government policy and protecting human rights. The 50 year conflict in Colombia has resulted in 5.7 million people being forced from their homes, the second highest number of internally displaced people in any country, after Syria. Christian Aid partner Inter-Church Commission for Justice and Peace (CIJP) has played a crucial role in the setting up of vital humanitarian zones in Colombia, offering protection to families who have been forcibly displaced from their land. CIJP also provides psychological support to those affected by the armed conflict, legal support to allow victims to get justice and workshops to educate people about their rights. In northern Iraq, Christian Aid partner Rehabilitation, Education and Community’s Health (REACH) works with communities whose villages were flattened by bombs as part of a genocidal campaign against the country’s Kurds in 1988. REACH helps communities lobby the government for essential services, such as access to clean drinking water, and plays an important role in helping to improve agricultural practices and empowering women. With the on-going conflict in Syria REACH has also been supporting some of the two million refugees who have fled over the border to neighbouring countries like Iraq. As violence once again flares in South Sudan, one of the world’s youngest and poorest nations, Christian Aid’s partner Hope Agency for Relief and Development (HARD), continues to work with people displaced as a result of the last conflict. In addition to providing families with basic materials such as cooking pots, plastic sheeting, seeds and tools, they also offer longer term support by making funds available for people to build brick homes, construct schools and pit latrines and support teacher training. 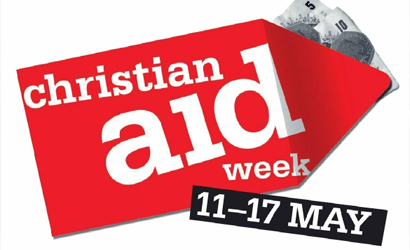 Christian Aid Week approaches once more. Read about what they do and see what the Archbishop of Canterbury has to say as well.